–CBS has renewed the long running ‘Big Brother’ reality show for a 19th and 20th season. –’Big Brother’ airs Wednesday, Thursday and Sunday on CBS TV. Two evictions for the price of one on Thursday’s ‘Big Brother’ episode. Cody Nickson was evicted…er….’re-evicted’ early in the show leaving him to finish in 11th place. Later in the show Elena Davies got the boot to complete the eviction ‘Daily Double’ and to leave just nine contestants. We didn’t do numbers on the weekly eviction show last week but we’ll back later this week with a full rundown of props for the Thursday live show. Ratings for Week 9 remained strong though they were off incrementally over Week 8. The Sunday show had 6.22 million viewers compared to 6.46 the week before. The Wednesday show brought in 6.27 million against 6.39 the week before. Thursday numbers were unavailable at press time. The ‘glass half full’ view of the ratings would likely be to emphasize that ‘Big Brother’ lost very little ground against a live elimination episode of ‘America’s Got Talent’. Different audiences to be sure but that doesn’t negate the fact that ‘AGT’ is a huge ratings juggernaut. CONTESTANT ELIMINATED FROM THE ‘BIG BROTHER’ HOUSE IN WEEK 8 WILL BE? HOW MANY CONTESTANTS WILL LEAVE THE HOUSE DURING THE WEEK OF AUGUST 21–AUGUST 27, 2017? 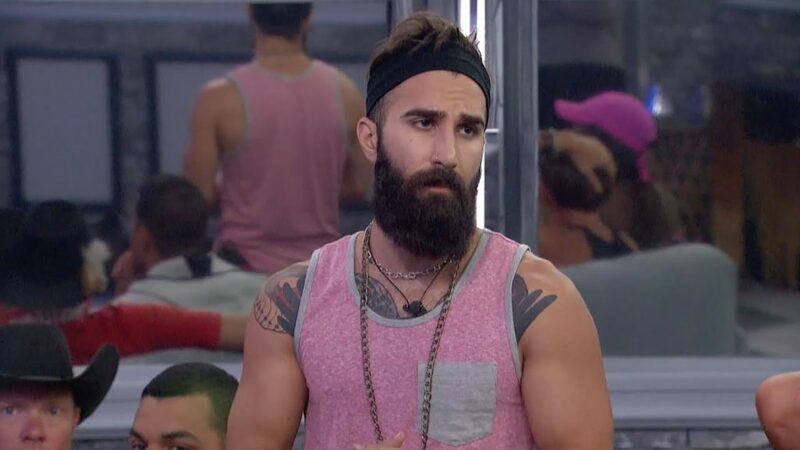 COMBINED VIEWERSHIP OF SUNDAY, WEDNESDAY AND THURSDAY’S ‘BIG BROTHER’ EPISODES? Combined viewership for the 8/20, 8/23 and 8/24 ‘Big Brother’ episodes. All bets are action regardless of pre-emption or rescheduling. Grading based on final ratings figures reported on the ‘TV By The Numbers‘ website.